Find My Workspace lists over 95% of the serviced offices market in Cairo. Simply click Request Quote to check pricing for one office, or Add to Basket for multiple offices. 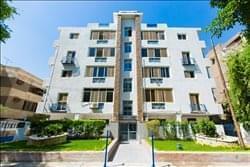 This dynamic and well-designed building is luxuriously finished with marble flooring and air conditioning for optimum comfort throughout the year. Beautiful high ceilings in the open plan office space provide spacious and extravagant interiors, with a back up generator and IT support to ensure peace of mind and keep workers well-connected. With outstanding views over the green space right next to the property, this area is close to all transportation and many restaurants. The floors are service with a high speed elevator, great interior and modern design. The centre is perfect for businesses of any background. The modern infrastructure of this business centre incorporates unspoiled green areas in a tasteful arrangement devised to cater to all business needs. This centre has already attracted a host of top international and Egyptian companies. Its state-of-the-art facilities include a unique contemporary restaurant, meeting rooms, event and catering management, corporate advice, and a varied transportation package, including paid shuttle buses. It also offers a range of work-life balance amenities, including a gym, spa and swimming pool, as well as tennis and squash courts. These great on-site facilities enable employees to relax outside of working commitments and demonstrate how this business centre caters for all your personal and professional needs. This modern business centre offers fully furnished executive suites and open-plan office spaces. All work space options are available on flexible terms and are flexible to suit your particular necessities. 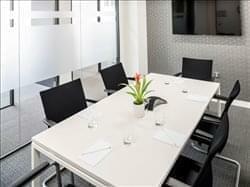 The centre also offers equipped meeting rooms and a business lounge, perfect for meeting clients or hosting casual meetings between employees. Additionally, all office-spaces are complete with air-conditioning units, allowing employees to work comfortable and promoting productivity. Other professional services at your disposal include; a fully equipped communal kitchen area, on-site IT support, telecoms and hot-desk opportunities. A maintenance service is also provided that ensures the daily upkeep of the office-spaces is handled responsibly and professionally. 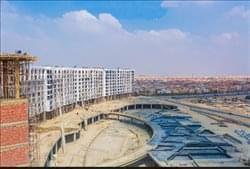 In the heart of New Cairo, the capital’s new satellite city, this centre is contemporary in more ways than one. From the outside, it maintains an extremely corporate look, with an angular glass facade that works with the light to create a professional presence. In terms of functionality it is also particularly advanced, owing to the modern integrated technology and LEED-certified efficiency. At this centre there is a multitude of professional services at your disposal including; spacious meeting rooms, conferencing facilities, security system complete with CCTV, telecoms, high-speed internet and equipped communal kitchen area. Additionally, there is substantial on-site assistance available such as IT support and administrative guidance. Break rooms and a business lounge are also available to relax outside of work commitments. Located on the 22nd floor of one of the most prestigious complexes in Cairo, this well-siteated centre offers its clients an impressive view that will keep tenants motivated. The centre offers disabled facilities, a videoconferencing studio, a cybercafé, an on-site lunch restaurant and secure underground parking. 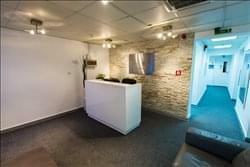 At this centre, businesses can flourish under the best conditions, owing to the site’s cutting-edge facilities, such as reception services with telephone answering that will ensure clients are always greeted in a courteous and professional manner, all whilst enhancing the impressive presence of your company. This office centre offers a wide range of premium packages which include multiple benefits such as a reception and administrative support arrangement, a dedicated local business telephone number and business address; a 24/7 company voicemail, a local fax number, mail and packages received and signed for, a private audio and web conferencing account, 5 days of private office use and access to our professional support team. Additionally, the site also features facilities such as 24-hour access and support, air conditioning, hot-desking, flexible terms, breakout space, spacious meeting rooms, secure parking, on-site management, videoconferencing capabilities and professional interior furnishings. This business centre is dedicated to the success of your business just as much as you are. The business centre itself is accessible 24 hours a day, 7 days a week so is a great working environment for those who don’t work the normal 9-5. Here you have the option of a co-working team or private offices. There is also on-site meeting room access so if you meet with clients often you can make use of this professional, confidential space. Located in the prestigious quiet district of Heliopolis, close to the airport and to all the main roads in the city, you will find that the building is quite suitable for you to start your business right away. This high-profile, modern and purpose-built business centre offers clients a wide range of services, creating a small virtual commercial microcosm in the heart of Egypt’s capital. It has attracted a variety of companies from small start-ups to major multinationals in a variety of sectors. This expansive, mixed-use site brings together class-A work space with essential amenities including retailers, restaurants, banks and fitness centres. The centre has a host of useful amenities at hand to aid your business as it develops. Employees can take advantage of the meeting rooms for collaborating, the break out rooms for unwinding between working hours, and the secure parking facilities which are complete with sophisticated CCTV surveillance. 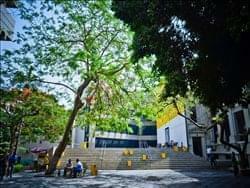 Additionally, the centre has an extensive support system in place to assist with any queries that may arise through a dedicated reception desk, administrative support and IT assistance. This centre offers fully furnished serviced office space at the heart of Heliopolis on the main road, 7km to Cairo International Airport. The space is both comfortable and efficient, as well as being completely equipped with the highest calibre, state-of-the-art facilities and on-site provisions required of corporate business tenants. All offices have an exterior view of the main high street with panoramic windows and a balcony area. A shared per scheduled meeting room with a standard capacity of up to 10 people is available daily and 24-hour security and support teams are present at the centre to provide assistance to clients around the clock. 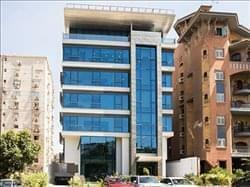 This centre resides on the 6th floor of a modern building in Nasr City. Facilities include; 24-hour access/security, meeting rooms, telephone answering, postal and mail services, an on-site cleaner, a lounge, a kitchen and printing facilities. The work space is on an all-inclusive rate, meaning that you pay only one price for everything related to your office space. Additionally, there is extensive support available on-site including a friendly reception team who are always available to deal with any issues that may arise, as well as handling general administrative duties including mail handling, telephone answering and greeting clients with professionalism. This centre is featured within a state-of-the-art business installation based in a corporate campus in the thriving technological business hub of downtown Cairo. The site itself is set in an impressive, modern and open plan building; with a wide range of on-site services and amenities as well as featuring tranquil green areas and relaxing outdoor spaces. The fully furnished and air conditioned centre offers a breakout space, conference facilities, high speed internet and spacious meeting rooms whilst also providing 24-hour access, on-site management and security teams and available copy and printing equipment. This modern business centre is well situated in Heliopolis and features a comfortable and professional environment with a wide range of useful services at your disposal including; shared office-spaces, equipped meeting rooms, workshops, a coffee lounge, virtual offices, professional administrative services, conferencing facilities and office maintenance team to ensure that the daily upkeep of the office-spaces is handled responsibly and professionally. Additionally, the office building maintains good levels of natural light throughout the day owing to the large windows. A dedicated reception service is also provided on-site, who are able to assist with any enquiries, as well as handling administrative duties with professionalism. 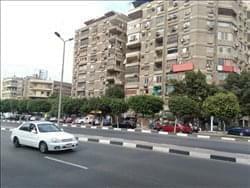 This centre is situated in a prestigious location in one of Cairo’s fastest-growing suburbs. The space features an abundance of amenities including convenient parking for both you and your clients, temperature control for comfort, and spacious meeting rooms. Other services are available such as conferencing facilities, office maintenance and cleaning services, IT support and a parking facility for both employees and clients alike. Additionally, the office building is accessible 24-hours a day marking a good opportunity for employees who are required to liaise with foreign clients operating in different time zones. A dedicated reception desk is also featured on-site who are able to deal with any enquiries that may arise, as well has dealing with administrative responsibilities including mail handling and greeting guests. This business centre is featured in an impressive, modern glass building and offers an array of professional services to be taken advantage of. These include spacious, comfortable meeting rooms as well as private business rooms. The building is accessible 24-hours a day making it an ideal opportunity for employees who are required to liaise with overseas clients. Additionally, a dedicated reception service is provided on-site who are able to assist with enquiries, as well as deal with any administrative responsibilities including; mail handling, telephone answering and greeting guests with a friendly face. The centre maintains high-speed internet and is complete with conferencing facilities, allowing you to remain connected with a wide range of clients with ease. 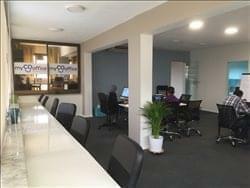 This centre is a modern business complex with the main goal of providing the guarantee that professionals can get their business up and running quickly, efficiently and affordably; by providing access to a wide range of services and fully furnished workspaces that ideally suit all business needs. 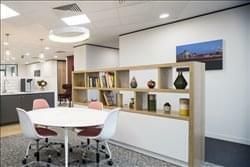 Whether it’s a spacious and collaborative co-working area or unique, personalised executive office space in one of the most elegantly designed facilities available; this space is perfectly equipped. In addition to the extraordinary office spaces, the centre provides a dedicated administration team and offers access to contemporary meetings rooms and business lounges to ensure high levels of productivity. This recently renovated and high quality business centre offers professional office space at exceptional value; with the highest calibre facilities, furnishings, location and personnel provided at affordable and inclusive rates. 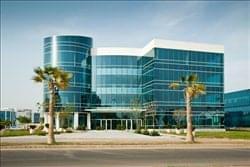 This luxurious corporate complex is one of the most outstanding business environments available anywhere in Egypt and combines luxurious interiors and the most advanced technological amenities with a prestigious professional reputation. The centre offers such facilities as air conditioning, 24-hour security and access, secure parking, conferencing capabilities, spacious meeting rooms and comfortable breakout space. This workspace accessible 24/7 offers serviced offices in the business district. 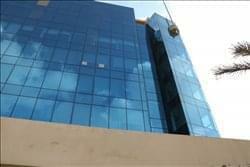 Here, offices come fully furnished and on flexible terms. This makes it a great working environment if you’re a start up or your business is growing! Pricing here is all inclusive so you know you won’t hit with any surprises at the end of the month. The business centre offers on-site meeting rooms that are fully equipped and easy to use and book. So if you meet with your clients often you know you have a professional, confidential space to meet them. Here, you’re also supported by a friendly on-site admin team. This team can assist with telephone answering, greeting your clients, mail handling and helping you secure one of the meeting rooms. This stylish centre offers both private office space and virtual office options all featured within a productive working environment. The centre has been completely refurbished to bring you a fantastic work space where you can grow your business. Each office is fully fitted with comfortable, sleek furniture that will impress any of your business guests. Members of the space have access to professional meeting rooms and beautiful lounge areas for relaxation with plenty more amenities to make your daily business run smoothly. These additional professional services include; 24-hour access with security systems enabling more flexibility for employees, conference facilities, air-conditioning, a cleaning service, telecoms and phone answering. A professional reception service is also available on-site to help with administrative responsibilities and greeting guests with dedication. This centre offers both private office space and virtual office options. The centre has been completely refurbished to bring you a fantastic work space where you can grow your business. Each office is fully fitted with comfortable, sleek furniture that will won’t fail to impress your guests. Members of the space have access to professional meeting rooms, friendly professional staff will make your daily business run smoothly. Additional services include conferencing facilities, 24-hour access, administrative support, professional maintenance services and a communal kitchen area. The site also features a multilingual staff support team who are able to assist in any way possible throughout the day. This is an innovative administrative building on seven floors which sets new standards in terms of design, quality and user experience. Designed as a contemporary haven in the midst of the vibrant activity of the city’s business district, the full-height windows and curtain walling provide an exceptionally well-lit working environment, while the stylish interior design offers both attractive decor and optimum use of space. Its fully modern facilities include secure underground parking and office space designed specially to cater for walk-in customers. The building is sure to become a landmark at its prestigious address. This business centre is located within a sleek, modern glass fronted building, incorporating a range of furnished office-spaces available on flexible terms. The work-spaces maintain great natural light throughout the day owing to the large, floor-to-ceiling windows, boosting productivity and creating a serene working environment. 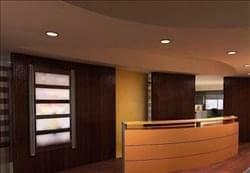 Professional services include spacious meeting rooms, break-out areas and high-speed WiFi. The centre is also accessible 24-hours a day, allowing for business to be tailored to suit individual business requirements. Other useful services include copy & printing facilities, dedicated reception desk, air-conditioning and a communal kitchen area for making tea and coffee. This business centre is well situated within New Cairo’s main axis and features an array of professional services including; 24-hour access, conferencing facilities, fully equipped meeting rooms, IT support, high-speed internet and telecoms. A secure parking facility is also provided and can be utilised by employees and clients alike, as well as an impressive lobby area to welcome guests into the building. Additionally, the building features a dedicated reception area who are always willing to assist with any enquiries throughout the day, as well as dealing with administrative responsibilities including mail handing, telephone answering and greeting guests with a friendly face. A professional maintenance service is also incorporated which ensures that the daily upkeep of the office-spaces is handled responsibly and with care. 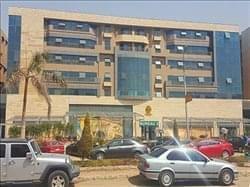 This centre is one of the only business centres of its size offering premium, fully services offices for rent in Cairo. The office manager is on site daily and is trilingual, making it an ideal place for international offices to be established for either long or short-term stays. It can accommodate any client request: whether rooms need to be furnished or unfurnished, personal separate telephone lines or specific internet services such as VPN; in addition to a further range of flexible options that be specifically tailored to perfectly suit the particular requirements of each client. The centre has two meeting rooms (for up to 12 people), a self-serve kitchenette and a terrace/garden area. To obtain information for your selected Cairo Serviced Offices, please tick the "Add to basket" box for each office you prefer and complete the form below. We will then send a detailed report via email.